Hi guys, how are ye all doing today. I know I didn't post last Sunday but when I realized that it was Sunday it was so late that I couldn't be bothered to take out the laptop. 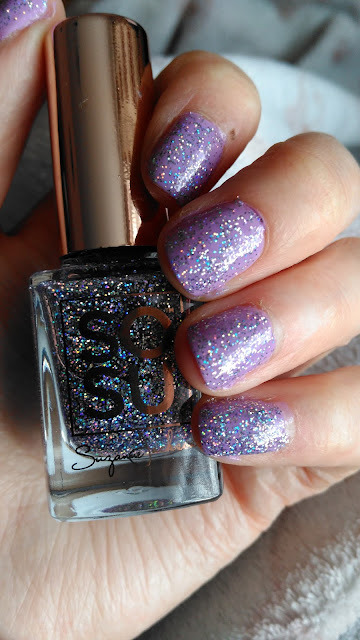 So today for a quick post here is the nails that I had this week. I have to say that absolutely loved it. 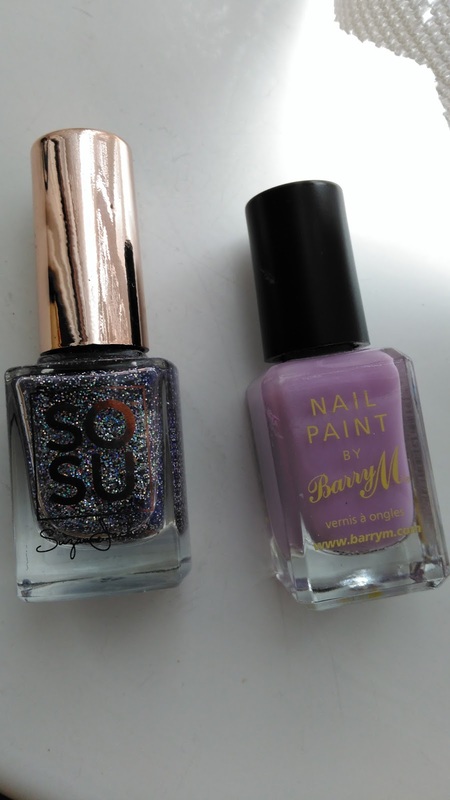 The SoSu nail polish in Unicorn Dust made it last so much. Four days until any nail chipped. 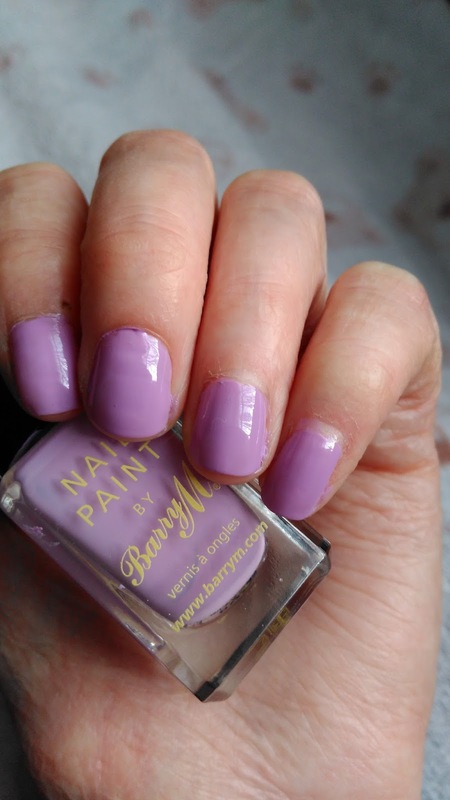 The BarryM shade is called Blueberry. it goes on very opaque with two coats. The SoSu nail polish is called Unicorn Dust. I applied just the one coat so that the lilac would come true very nicely. This is my opinion is an elegant nail. I got a lot of complements.